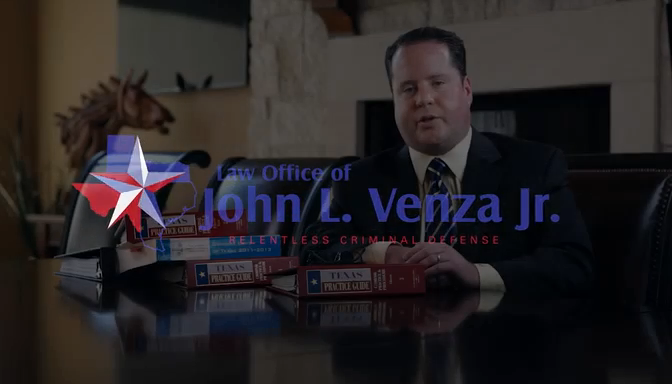 Fort Bend Criminal Defense Firm | Law Office of John L. Venza Jr.
Criminal Defense, Eager to Hammer Away at the Government Lawyers. Your Freedom is at Stake. Your Rights are in Jeopardy. When charged with a crime, you need an attorney for your criminal defense case in Fort Bend County, Texas who will relentlessly fight for you and who knows how the government operates. Why choose my firm above the competition? I have five years of experience as a prosecutor for the State of Texas. I have over 10 years of exclusive criminal defense experience. I have been a licensed attorney for nearly 18 years. My firm has an extensive track record of success in criminal cases. I am committed to my clients, providing a comprehensive and aggressive defense. I make myself readily available to answer your questions and hear your concerns. When you call, you will receive a free consultation for your case. I have five years of experience as a prosecutor for the State of Texas and over ten years of exclusive experience in criminal defense. I have an insiders knowledge of the criminal process. After an arrest, you will likely have many questions. Here are some helpful answers. What steps do I take to prepare the best defense on your behalf? I conduct on-site investigations and interviews with witnesses. I comb through the State's file, thoroughly examining the alleged evidence against you, and expose the errors made by police and investigators. I combine my passion for criminal law with meticulous attention to detail. I do not hesitate to bring a case to trial to fight for exoneration. I know what to do and say to maximize the chances of achieving a dismissal. Mr. Venza provided excellent legal and personal advise to get me out of a pretty unfortunate situation. He will be the first call I make for any legal needs in the future. Words cannot express the professionalism you and your firm has given me in my time of need. Successfully dismissed thanks to him. If you need an experienced, professional and tough criminal defense lawyer, look no further! Mr. Venza took my case and gave me better representation than I could have imagined. I found Mr. Venza to be the most hard working and sympathetic attorney I have ever dealt with. Mr. Venza is an outstanding attorney. He took the time to learn about me and used that to my benefit. He has a lot of experience and knowledge of the process and he works to get the best possible outcome. Apr 10, 2019 Is Domestic Abuse a Criminal Charge? of John L. Venza Jr.